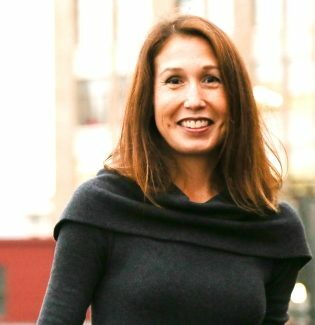 What: She juggles several jobs including indie bookseller, transcriber, and insurance adjuster. 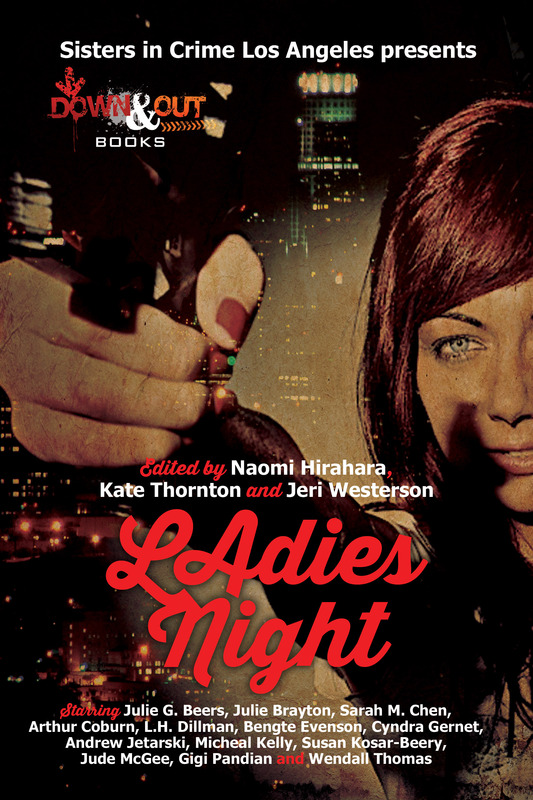 Her crime fiction short stories have been accepted for publication online and in various anthologies, including All Due Respect, Plan B, Shotgun Honey, Crime Factory, Out of the Gutter, Betty Fedora, and Dead Guns Press. CLEANING UP FINN is her first book and available now with All Due Respect Books. 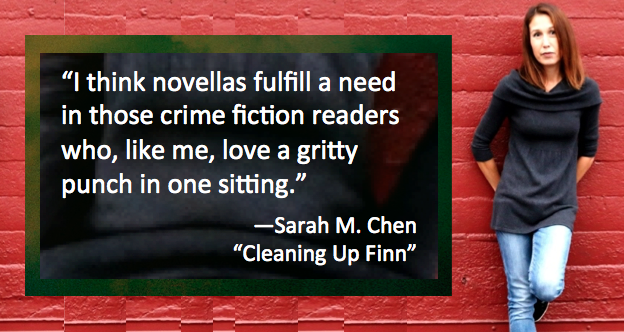 Congrats on the release of your debut novella, CLEANING UP FINN! Tell me a little about how this character and this story came together. Thanks, Steve! Finn is an amalgamation of many different people I worked with over the years in the restaurant industry. I knew there was a funny twisted story inside me about that wonderful crazy time in my life. I wanted to write about a restaurant manager who enjoyed partying just as much as his staff, something not unusual in the restaurant industry. Then I cranked it up a few notches and Finn was born. You and I have both published books set in SoCal’s South Bay (Manhattan Beach, Hermosa Beach and Redondo Beach). Why’s that the right location for the action in CLEANING UP FINN? The South Bay is my home and where I waited tables and was a bartender, so it was a natural fit. It couldn’t have been told anywhere else. Actually, the story originally was set in Baltimore (somewhere I’ve never been, so go figure) and when I had the chance to rewrite it, it was a no-brainer to move it to where it belonged. Books set along the coast are sometimes described as “Sunshine Noir.” Do you think that applies to your novella? Do you think about genre when you write? I’ve heard of “surf noir,” but not “sunshine noir.” That’s quite an oxymoron, isn’t it? I like it and yeah, I think it works for my novella. I was calling it “South Bay noir” or “restaurant noir.” You know, just making up my own genres. And no, I don’t think about genre at all when I write. I just write what I’m interested in. You have published several short stories before releasing this novella. 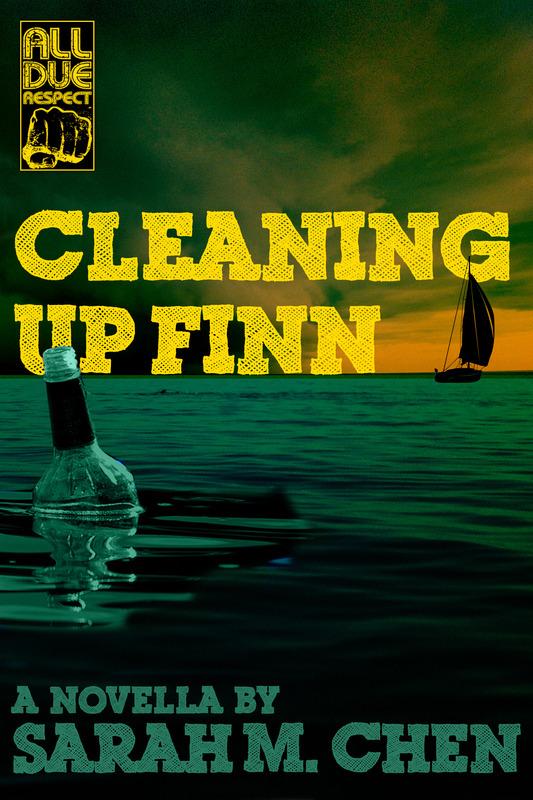 Did CLEANING UP FINN come to life as a short story? Was it challenging to go longer with this story? Yes, it did actually begin as a short story. How’d you know this? Maybe I told you. Anyway, I wrote it for an anthology call back in 2007. Darrell James, a really talented author and good friend of mine, read Finn and liked it. I didn’t get in to the anthology but his encouragement made me think I had something with this one. So I tweaked it over the years, and then I had an opportunity to publish a novella. I immediately thought of Finn. I knew there was more of him I wanted to explore. It was tough to expand at first since I’d only written short stories but after a while, I got the hang of it. At least I like to think so. Who would you consider some of your biggest influences? Do you think their influence is obvious in your work? Gillian Flynn before the GONE GIRL craze. SHARP OBJECTS is my favorite of hers. Dennis Lehane. George Pelecanos. The biggest for me is Elmore Leonard. His dialogue and character development is incomparable. 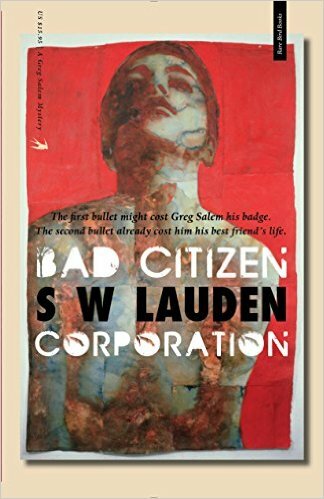 Maybe the fact that I write about regular people who do shady things and don’t make the best decisions is in some small way slightly reminiscent of Elmore Leonard. But that’s as far as I’m willing to compare. What do you think about the rise of the novella in modern crime fiction? Have reader attention spans gotten shorter? Or are crime writers just boiling their books down to the bare essentials? The novella’s popularity does seem to be surging but maybe that’s just because I know a lot of authors who write them. Do other genres publish as many novellas? I know there are novella prequels in YA. With James Patterson announcing his big novella plans, here’s an opportunity for them to become more mainstream which I think is good, but I’m not holding my breath. I think novellas fulfill a need in those crime fiction readers who, like me, love a gritty punch in one sitting. Do you have a full-length novel in the works? I do and I think it’s been in the works since we last spoke so I’m embarrassed to even mention it. Let’s just say it’s a YA novel but not really since the protagonist is an 18-year-old college dropout. She discovers her estranged father is back from Taiwan which subsequently puts her life in danger. I divide my time equally between crime fiction and YA. Right now I’m reading Stacey Lee’s ARC of her second YA novel, OUTRUN THE MOON. It actually comes out tomorrow! It’s a wonderful historical fiction of a fifteen-year-old Chinese-American girl in 1906 San Francisco. I just finished James Ziskin’s HEART OF STONE which I absolutely loved, but I’m a sucker for his Ellie Stone novels. My short story, “Pig Boy,” is coming out soon with Dead Guns Press. You heard a condensed version of it on Noir on the Radio at Left Coast earlier this year. I also have a children’s book called SUPERBEETLE that’s been in the works for a while. Hopefully that will be released later this year through Elm Books children’s line. I’m also working on a couple other short stories for different anthologies while trying to complete my YA novel that’s not really a YA novel. YA???? Maybe a Yes in DEUTSCH?